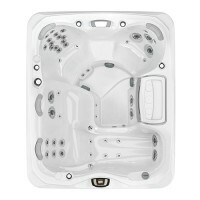 The Cameo® spa seats up to six adults, offering the perfect variety of seat heights formed to fit diverse body types. 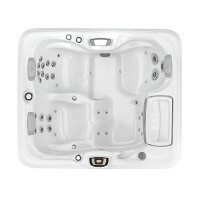 Our best-selling lounge model, this spa has the best of everything, from illuminated grab bars to air-only aromatherapy-releasing jets. Melt into the lounge seat and feel your stress disappear thanks to the most Fluidix® jet variety from your neck to your wrists to your feet. Throughout the Cameo® spa you’ll also find diverse seat options, from the customer-favorite, deep-immersion Accu-Ssage™ Seat to the exclusive, bold, therapeutic Intelli-Jet™ Seat. An asymmetrical foot dome is also tucked into the corner of the deep foot well so you can move about your spa comfortably. Complete with arm rest, this customer favorite seat delivers relaxation to your neck back, wrist, hips and calves, and wrist in our deepest, full-body immersion experience. A bold, therapeutic pressure point massage coaxes away neck and back pain while gentle hip bubbles are pleasing to the skin either with or without SunScents™ aromatherapy. Like a reclining chair, this seat supports your body for a full-body massage from your neck to your feet. And, pulsing jets pinpoint nerves and muscles in the wrists and hands. 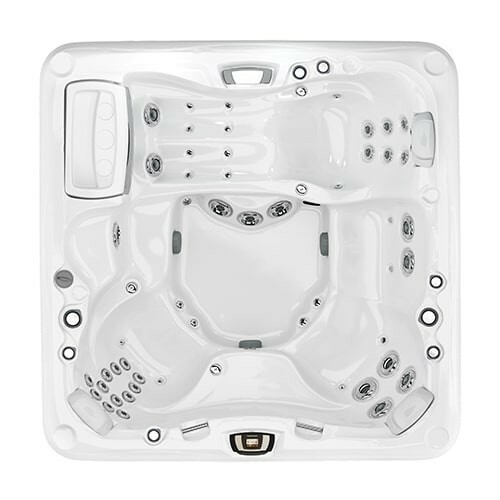 The 880™ Series has the best of everything, including features that make owning a spa easier than ever. Explore more features here. The i-Touch Control Panel amplifies ease of use with a glowing, color touchscreen control and icon-driven menus, so programming your spa is easy day or night. Compatible with optional SunSmart 2.0 WiFi. Each Fluidix® jet brings the feeling of popular hands-on massage techniques, operating without bearings that can clog or parts that wear out. Featuring nine massage varieties.